Together we create tomorrow’s environment. Sirkel & Mall is one of the leading architecture and design companies in Estonia. 42 professional engineers are creating innovative and functional solutions every day in our office. While being projecting contractors, we cover the whole development cycle for the clients (from the research to the technical drawings). Our service portfolio is wide-ranging – from an apartment to warehouse. We also have a lot of experience designing energy efficient buildings. 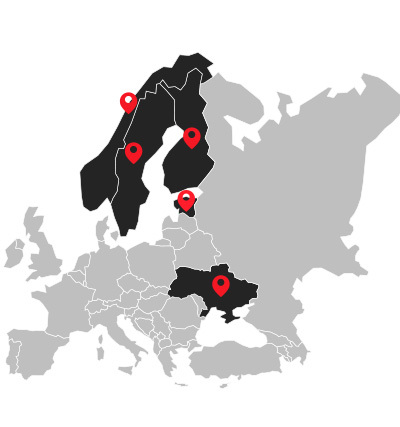 We design in Estonia, Norway, Finland and Sweden – in over 13 years we have compiled over 1000 successful projects. In architecture, structural design and MEP engineering we use BIM software and with that we are giving office buildings and shopping malls compound solutions and make even the most difficult manufacturing buildings work.